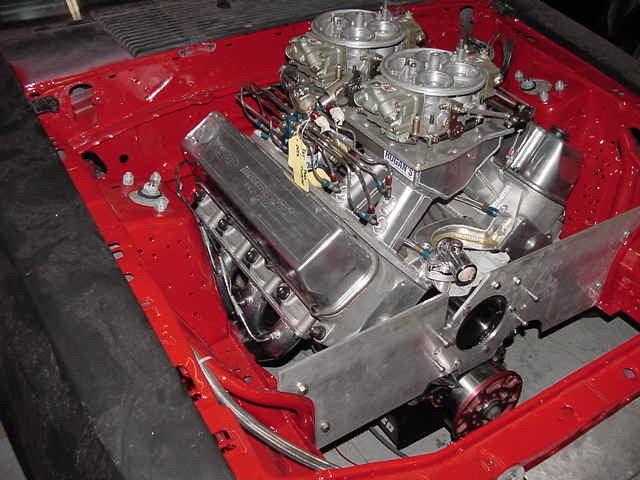 Here are a few pictures of our Engine we will be using for the 04 year. 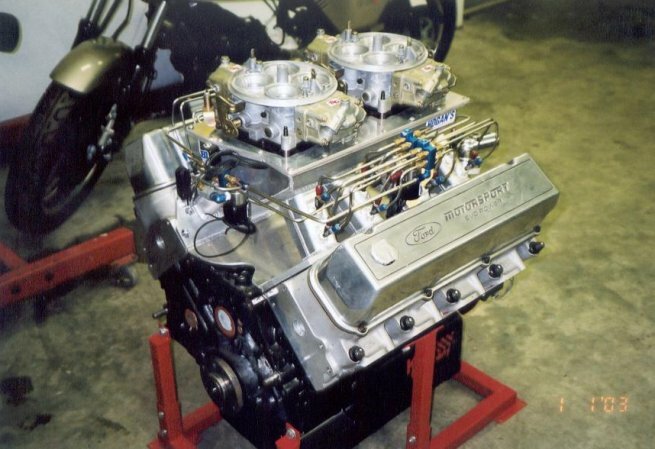 This is a 600 cubic inch big block Ford. 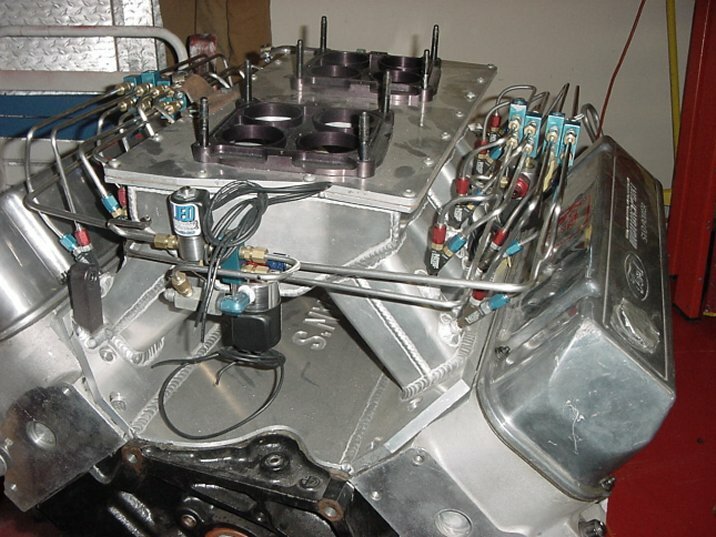 It is built around a siamese bore Ford SVO block, Sonny Bryant billet Crank, MGP Aluminum Rods, Venolia Pistons, C460 heads, a Hogan Sheetmetal Manifold, twin Barry Grant Dominators. 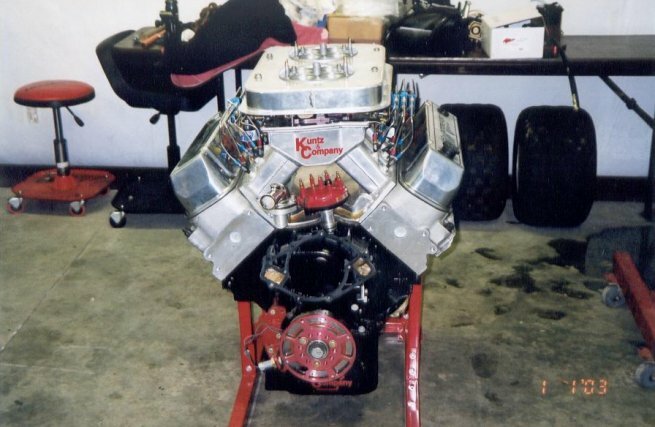 This motor will be tuned by tuned by Al Moody Sr. of Moody Racing Engines. We are expecting in excess of 2000 hp. We will have accurate dyno results very soon. 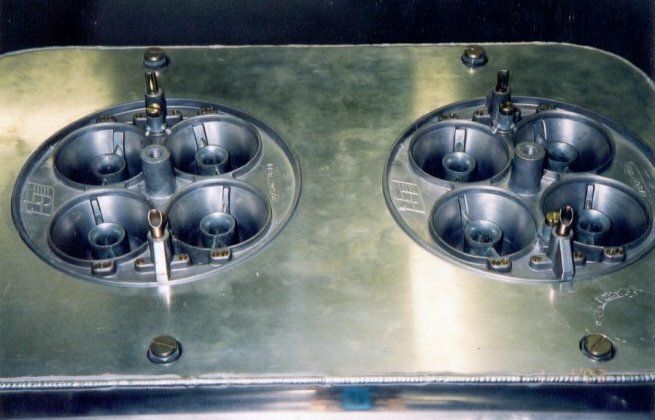 This picture shows a close up of the detail that went into building this intake manifold, as well as all the fogger system lines. 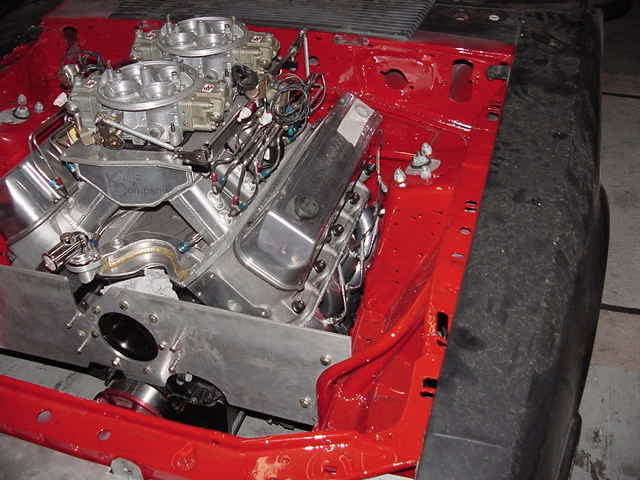 This shows the motor mocked up with the base of the air pan on, it is being prepared to make the pro stock hood scoop functional. 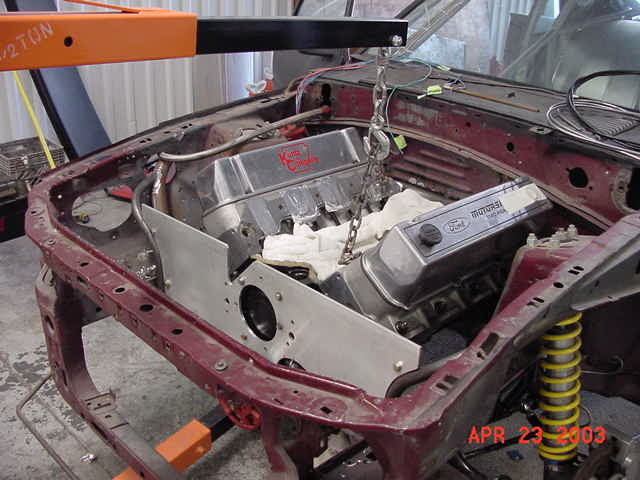 This is when Shaw Motorsports was mocking the motor up to build the headers. 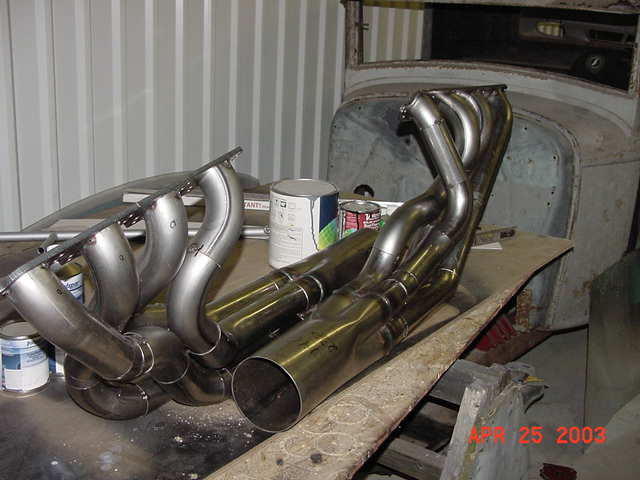 These two pictures are of the headers Shaw Motorsports built for me. They are triple step, and go into a five inch collector. 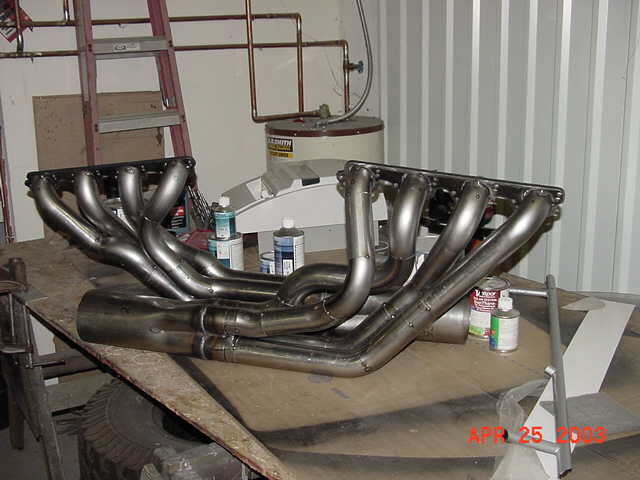 The remainder of the exhaust is five inch pipe, and Dynomax mufflers. You can see from these two pictures, the headers turned out perfect. All of the bungs are welded in for data logger, and the headers have been high temperature coated as well.